Like a cast from a dystopian black comedy, we have watched the key players in Brexit play up to their various reputations as the Brexit shambles slowly unfolded. Here we look at everything you need to know about the main actors. The ‘vicar’s daughter’ has often been characterised as someone who feels duty-bound to slog on even when the going gets tough; she has weathered many storms since taking the helm in No 10, from threats of mutiny to constant opposition attacks. But the steely exterior first seized on by the Irish Government has given way in recent months, as it became apparent that the survival of the Tory party has taken priority for Mrs May. It will remain to be seen if her recent manoeuvrings can steer a deal through parliament. The president of the commission was a divisive figure in the UK before Brexit. His pointed slights at key moments during the negotiations won’t have won him any additional fans. But while he has antagonised Brexiteers he has left the door open for the UK to return. From an Irish perspective he has made welcome assurances that the EU will not turn its back on Ireland. 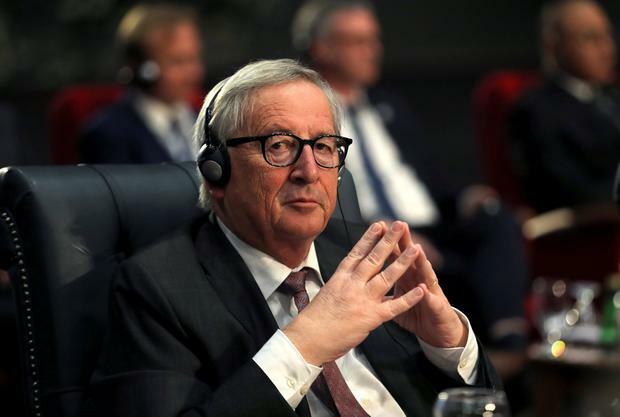 President of the EU Council, the Polish politician has raised more than a few eyebrows with his somewhat creative turn of phrase; often quoting song lyrics. Most recently he famously hit out at Brexiteers who campaigned for the UK to leave without a plan, claiming there was a “special place in hell” for them. In the wake of his comments, Taoiseach Leo Varadkar told him the British press would give him “terrible trouble”. It did. One suspects Tusk was largely unfazed, however. Like most top EU figures, not much passes his lips in the absence of a strategy. The EU’s chief negotiator on Brexit has earned a reputation in Brussels for his talent for diplomacy – Brexit has undoubtedly been his biggest test to date. He largely held firm on the key EU red lines such as the need to avoid a hard Border on the island of Ireland, but found room to move in order to get a deal agreed. The final crunch weeks will be the true measure of his skills as the EU and UK look to agree a solution that satisfies all sides.